Note: When you click “Pay Now”, you will be directed to a secure PayPal website. 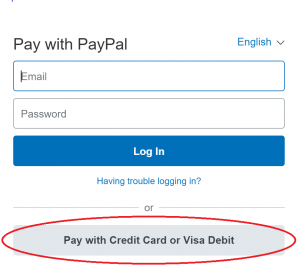 You do not need PayPal account to make payment. You may pay using your credit card by choosing “Pay with Credit Card or Visa Debit” without logging in (refer to the picture below).